and Llantrisant Parish Church itself. This was the view in May 2015 before developement started on the site. In the 16th and 17th centuries, Lanelay Hall was the seat of a cadet branch of the Matthew family of Castellmynach. Through marriage, Lanelay Hall was passed to a branch of the Bassetts of Miskin, who were descendants of Sir Phillip Bassett, Lord of St Hilary. The last of the Bassetts - Eleanor, Ann and Joan - were known locally as the ‘Three Ladies of Lanelay’. Described by the 19th century diarist David Jones of Wallington’s father as “oddest little women he had ever seen”, they lived at Lanelay Hall in relative seclusion until their deaths. The ‘Ladies of Lanelay’ either sold the house, or on their death it passed to William Vaughan, an attorney, who devised and bequeathed it to John Edwards of Rheola, another lawyer and newcomer to Glamorgan, in 1829. As was tradition, Edwards assumed the name of his benefactor to become John Edwards Vaughan. When he died, Lanelay Hall passed to his son from his second marriage to Sarah Barwise, called Nash Vaughan Edwards Vaughan. When Nash Vaughan died childless in 1868, Lanelay Hall passed to his nephew, Major Vaughan Hanning Vaughan Lee. When the Major died, the house was bequeathed to John Edwards Vaughan, the second son of Sir Joseph Layton Elmes Spearman Bart JP and great-grandson of the previous owner. During this period of the 19th century, much of the Hall was rebuilt in an elaborate Gothic Revival style, although the service quarters were left largely unchanged. During the 1890s, T.J. Masters Esq., a coal speculator and later founder of the well-known firm of clothiers, occupied the Hall. A Colonel Bruce took up residence and continued to live there for some years after World War One. The Hall then became the residence of Edmund Hann Esq, who was employed by the Powell Dyffryn Company. 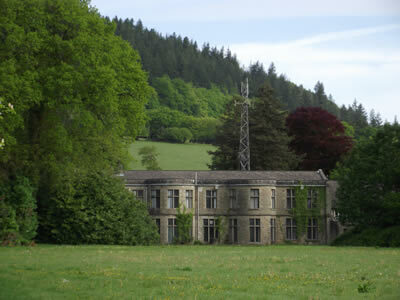 Lanelay Hall was acquired for the County of Glamorgan, as headquarters for its Fire Service in 1951/52. It was the home of the combined Fire services of the former counties of Glamorgan and Gwent. South Wales Fire and Rescue Service moved to their new Headquartes at Forest View Business park during 2009 and later the site was sold. Llantrisant Century Fund. " 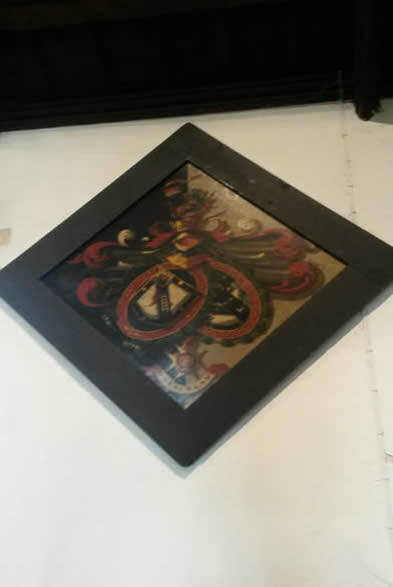 In addition to the amounts previously ackowledged, we gratefully acknowledgea sum of £20 5S; received from Mr. Masters of Lanelay, for the building fund of St. Paul's church, Llantrisant Station. This Kind contribution wipes off the remaining deficiency on the building fund of that church, which is now free of debt. This makes the third new church recently built in the parish, the building of which is now entirelyfree of debt." contains other members of the Masters family. He died on the 13th March 1902.